ABOUT CMO SCREEN PRINTING SUPPLY, INC.
CMO Screen Printing Supply, Inc. was incorporated in April of 2016 in Central Virginia. It began life as an offshoot of the screen printing supply side of CMO Sign Surfaces, Inc. located in Richmond's Southside. As the original CMO transitioned into retirement, the new CMO took off as an exclusive distributor of screen printing supplies. The name CMO was retained for easy recognition by it's original customers. CMO Screen Printing Supply, Inc., a small, woman owned, business, is a franchised distributor for world class products from well known manufacturers such as Union Ink plastisol inks and additives, Ulano Advanced Stencil Technology emulsions, films, and screen products, Kor-Chem environmentally friendly screen prep, cleaning, and reclaiming products, Camie and Sprayaway aerosol adhesives and pressroom chemicals, PMI brand tape products, Nortech Graphics superior pre stretched screens, scoop coaters, squeegees, and pressroom accessories, and J&S brand inks. CMO's product line will continue to grow with additional superior products as our customers' needs expand. Terri Saunders: Terri is the President and CEO of CMO Screen Printing Supply, Inc. Terri's experience in corporate America gives her the ability to communicate with screen printers in a professional and courteous manner. Her knowledge of the product line is outstanding and constantly growing. Terri's hands on approach and easy access to CMO's suppliers ensures that every customer will receive the most up to date information on every product in inventory. If a customer has a special request, Terri has the direct manufacturer contacts to be able to address any question and need. Terri is a Virginia native who was born and raised in Chesterfield County, Virginia. 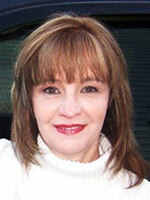 Some of her personal interests include crocheting, photography, genealogy, and love of family. Her commitment to business and visual arts makes her a perfect contact person and problem solver for any screen printer regardless of the size of the business or the issue at hand. 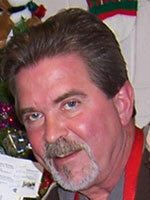 Keith Saunders: Keith is the technical support contact at CMO Screen Printing Supply, Inc. Keith has over 25 years of experience as a screen printer, business owner, and graphic designer in the screen printing industry. With a strong background and education in drafting and design, Keith is a good source of information to screen printers in the artistic creation department. His experience as a hands on screen printer also provides a good source for technical issues and product usage for beginner to advanced level screen printers. He loves motorsports and the outdoors as well. Keith was born and raised in Lynchburg, Virginia and remained there until he came to the Richmond area in the early 1980s. 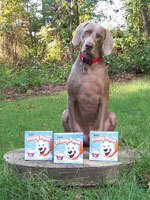 Gunner Saunders: Gunner is a male Weimaraner. His many duties include doorbell duty, greeting, companionship, and customer contact. He is a loving dog and appreciates a good neck and back scratch as well as helping with cleaning up any unattended food. A visit to CMO Screen Printing Supply, Inc. is not complete without Gunner's personal attention. He especially appreciates any treats that visitors might bring along. He loves to go for long hikes in the woods, swimming, and personal contact. He's also a photo bomber. Gunner is an awesome family member who is kind to everyone, and loves visitors.